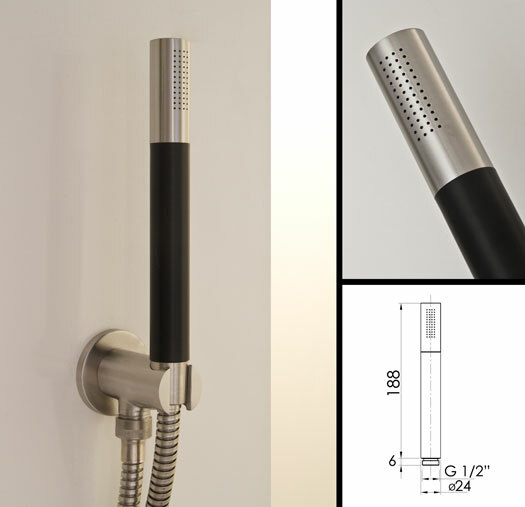 This black and stainless steel shower head with a water outlet holding bracket, has a satin brushed finish giving a nice design alternative to the normal chrome finishes used in bathroom design. * Made in stainless steel. * Black & brushed stainless finish.